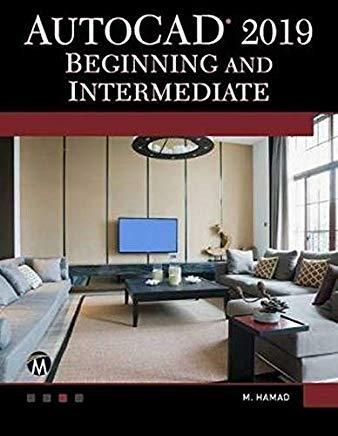 3This book is the most comprehensive book you will find on AutoCAD 2019 - 2D Drafting. Covering all of the 2D concepts, it uses both metric and imperial units to illustrate the myriad drawing and editing tools for this popular application. Use the companion disc to set up drawing exercises and projects and see all of the book's figures in color. AutoCAD 2019 Beginning and Intermediate includes over 100 exercises or "mini-workshops," that complete small projects from concept through actual plotting. Solving all of the workshops will simulate the creation of three projects (architectural and mechanical) from beginning to end, without overlooking any of the basic commands and functions in AutoCAD 2019. - Companion files featuring drawings, practice and finished plots, 4-color figures, etc.